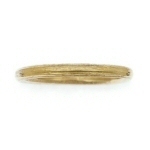 Cow parsley stem ring, slim band. 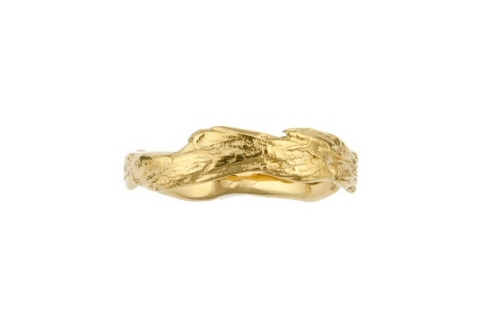 Select ring size below before adding to basket. 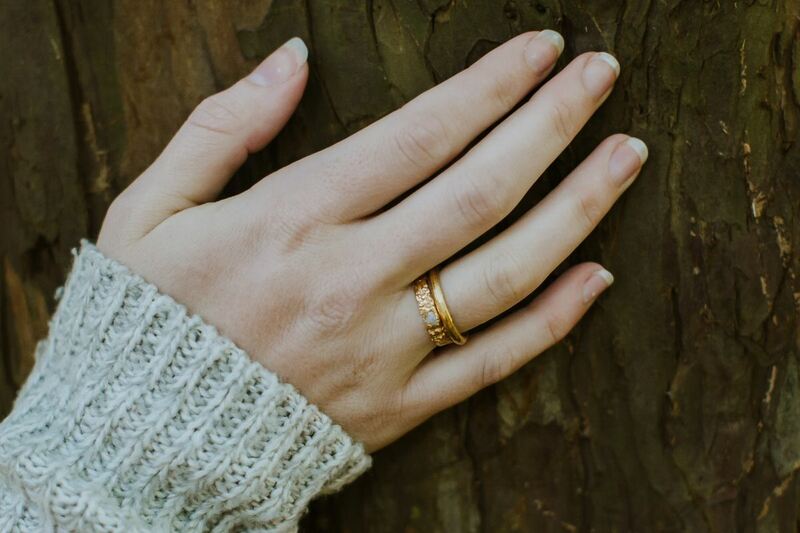 Cow parsley is one of my favourite hedgerow plants, I love the delicate beautiful white flowers as much as the woody textured stems that are left behind in the autumn. 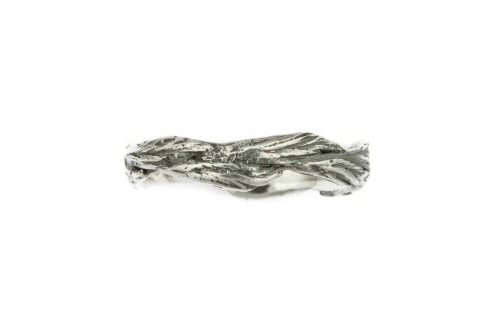 I've collected many cow parsley stems, the thick highly grooved sections have had a cross section taken to create deeply textured cow parsley stem rings, the finer stems wrap around the finger to create a ring with finer geometric lines that go all around. 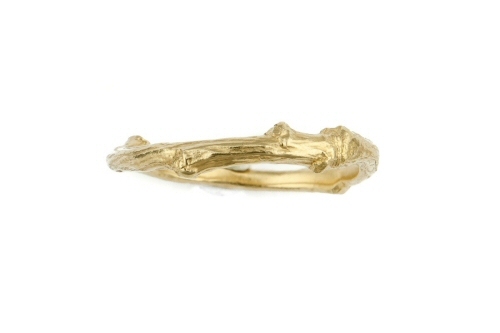 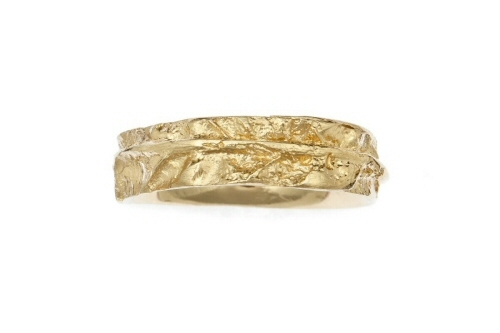 This band is cast from a slim section of cow parsley, the organic stem now in solid 18ct yellow gold. 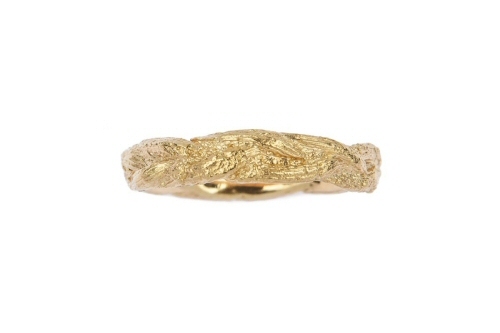 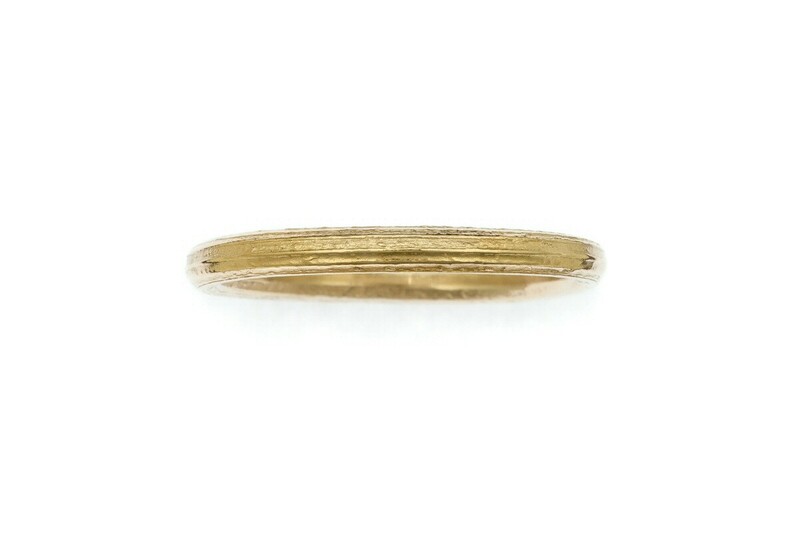 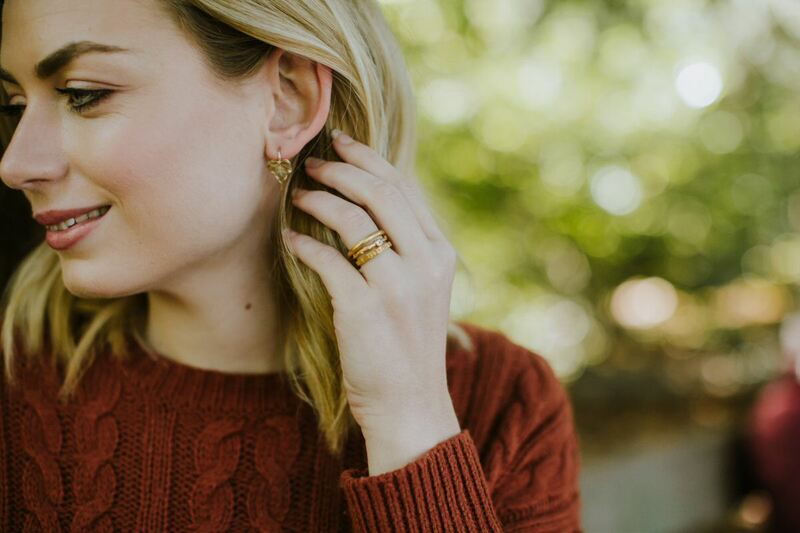 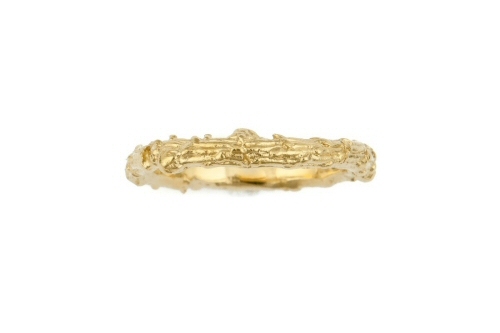 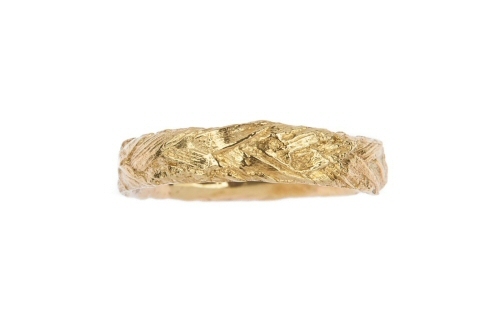 This gold ring is and 2.5mm wide, handmade in Oxfordshire, it carries a Birmingham Hallmark. 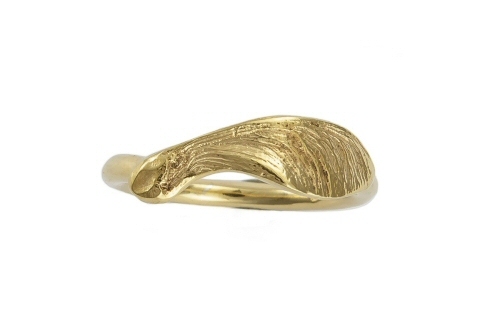 This cow parsley stem ring can be made in red, white or yellow gold. 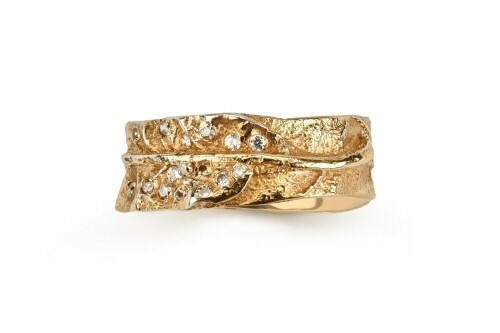 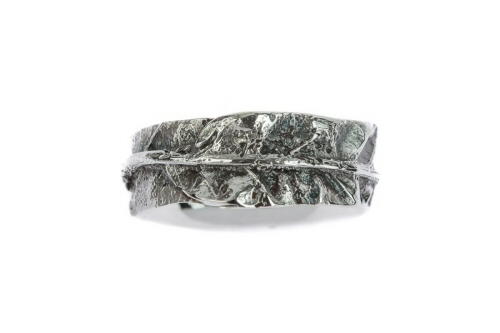 Oak leaf ring with diamonds. 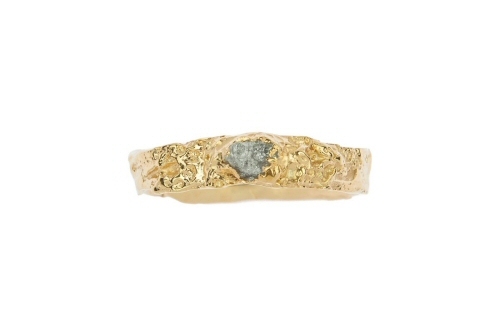 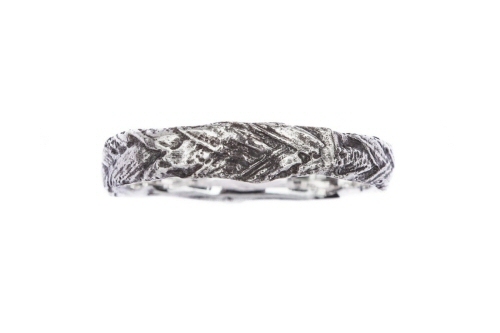 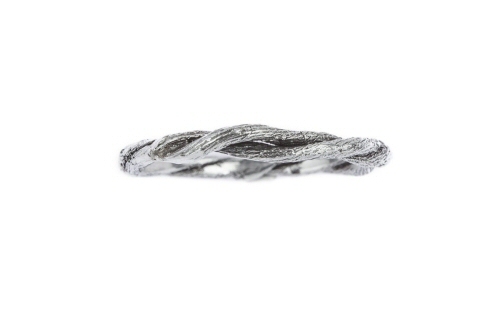 Lichen band with single uncut diamond.